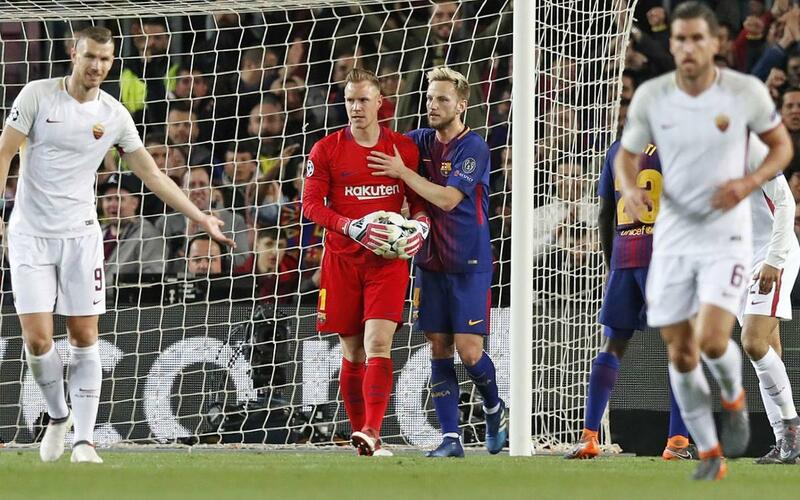 Ter Stegen was in typically impressive form in FC Barcelona's Champions League game against Roma, and one save in particular had fans rising up from their seats at the Camp Nou. In the 78th minute, the German the recovered from a mistake to produce a phenomenal stop, helping his team to victory. He remains the goalkeeper with the fewest goals conceded in the Champions League this season (3) and has kept five clean sheets in the competition so far. Wednesday night's game also marked Ter Stegen's 50th European appearance -his 41st for Barça. Enjoy his brilliant save against Roma again in the accompanying video!